The compact sander for drywall construction. Our MENZER TBS 225 was designed specifically with tight spaces, ladders and scaffolding in mind. The low intrinsic weight of the tool of just 2.6 kg and its very compact design make this drywall sander very easy and precise to handle. The slimline, ergonomic handle made of anti-slip plastic makes it an easy to operate tool. The nose section with the cup wheel tip of the MENZER TBS 225 is removable. Edges and difficult edge areas on walls or ceilings can then be effortlessly sanded. No more work-intensive, manual reworking! The driving disc of the TBS 225 comes with six holes and is encircled by a versatile brush ring that adapts to uneven substrates. 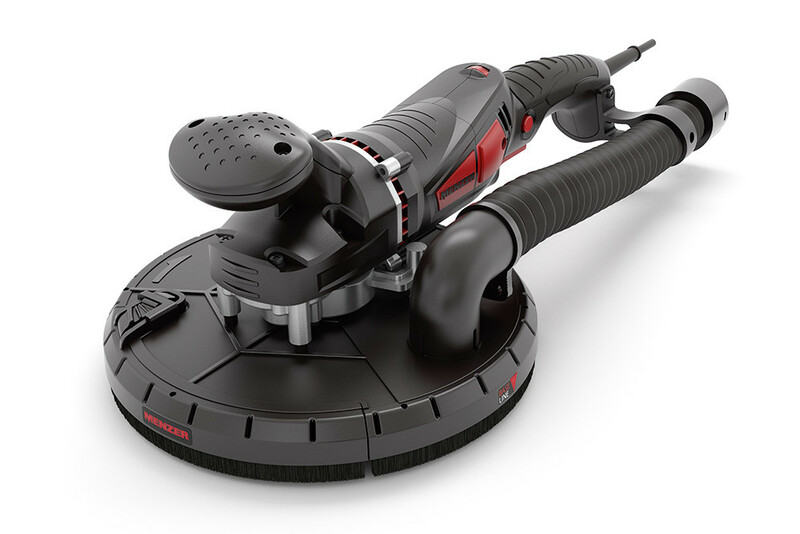 In combination with an industrial vacuum cleaner, a highly efficient and thorough dust extraction is therefore guaranteed. Overall work comfort is improved and the service life of the abrasive is increased significantly.